[AMERICANA] Brassband, Dixieland, Americana & Burlesque; it’s all in the name for this one. Expect all of the above and more for this annual bash at Mohawk Place, on Saturday, January 26. 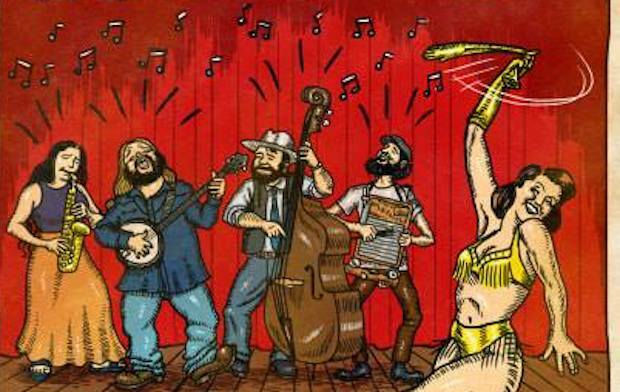 The old timey music event will feature music by Folkfaces, The Fredtown Stompers, 12/8 Path Band, and Pine Fever as well as burlesque from the Stripteasers. This 6th annual edition of the event will also feature a small artist village featuring art from Queen City Gallery, Joe Ski, and Kat Solecki. To top it all off, the whole thing is a benefit and food drive for Friends of the Night People, so bring some non-perishable food items and/or some new or lightly used winter gear—your donation will also knock $5 off your price of admission.